Auf geht’s! /// Here we go! /// ¡Empezamos! 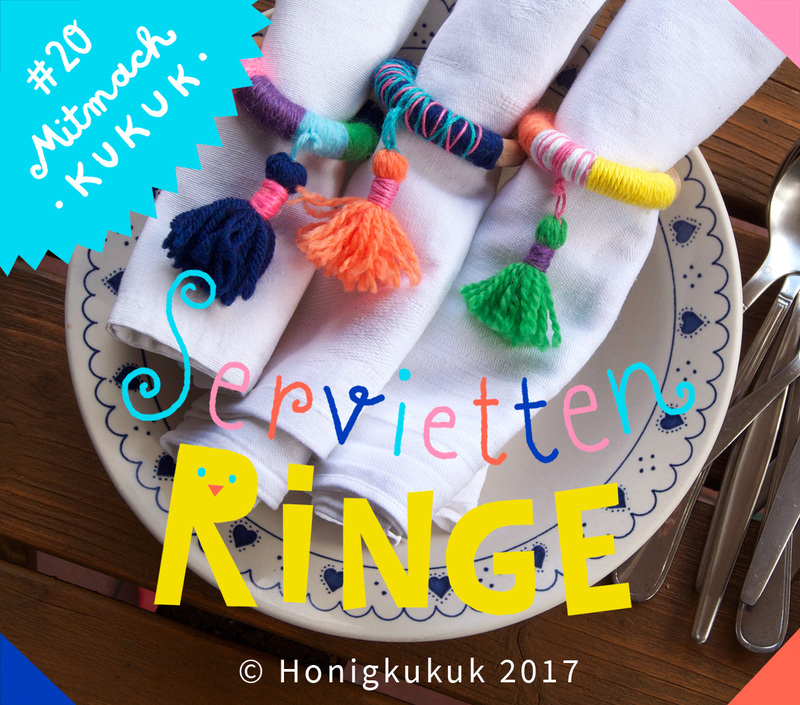 Umwickle einen Holzring bis zur Hälfte mit bunter Wolle. 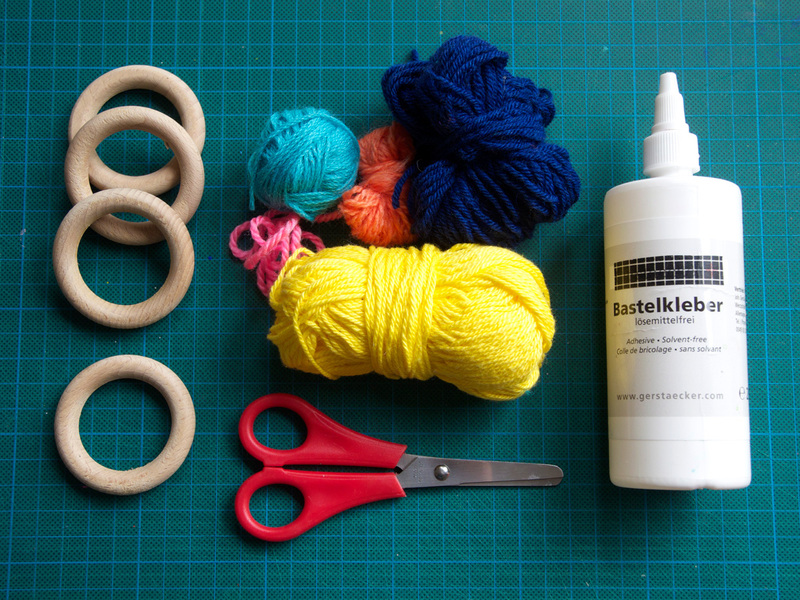 Klebe die Wollenden mit Bastelkleber am Ring fest /// Wrap a wooden ring up to half with colorful wool. Glue the wool ends to the ring. /// Envuelva la mitad de un anillo de madera con lana colorida. Fija los extremos de la lana con pegamento. 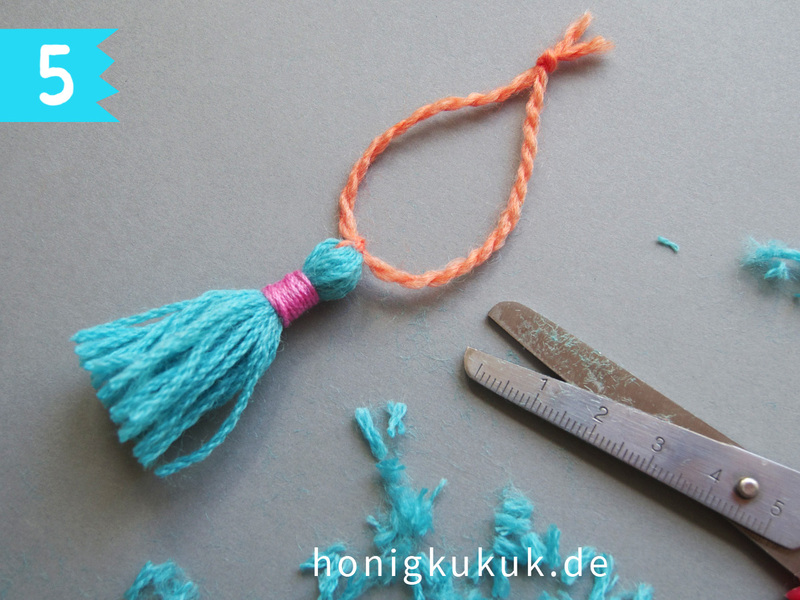 Nimm die Wolle vorsichtig von den Fingern, ziehe einen Wollfaden hindurch und knote die Schlinge mit einem Faden zusammen. Fasse die Wollfäden unterhalb des Knotens zusammen und umwickle sie mit einem Stück Wolle. Dann schneide die Schlinge gegenüber dem Knoten auf. 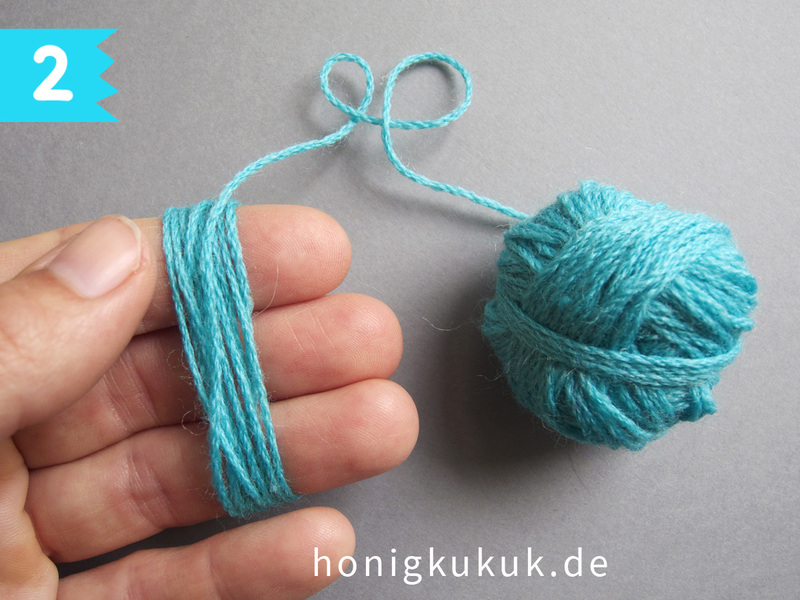 /// Carefully take the wool from your fingers, pull a woolen thread, and knot the loop together. 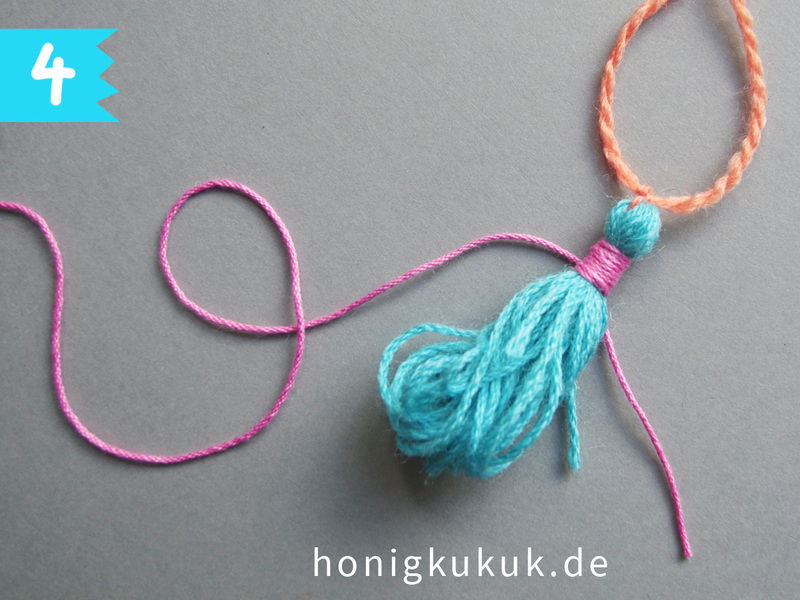 Grab the woolen threads below the knot and wrap them with another piece of thread. 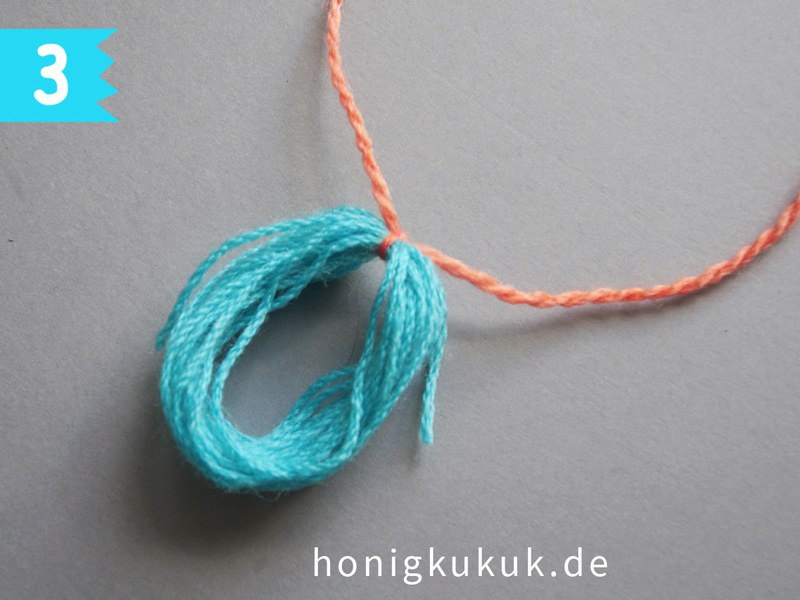 Then cut the loop on the opposite side of the knot. /// Con cuidado saca de lana de tus dedos, tirar de un hilo de lana, y haz un nudo para fijar el lazo. Juntas los hilos por debajo del nudo y los envuelvas con otro hilo. A continuación, cortas el lazo en el lado opuesto. 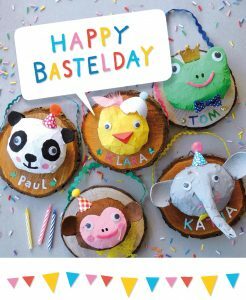 Befestige die Troddel an deinem Serviettenring – fertig! 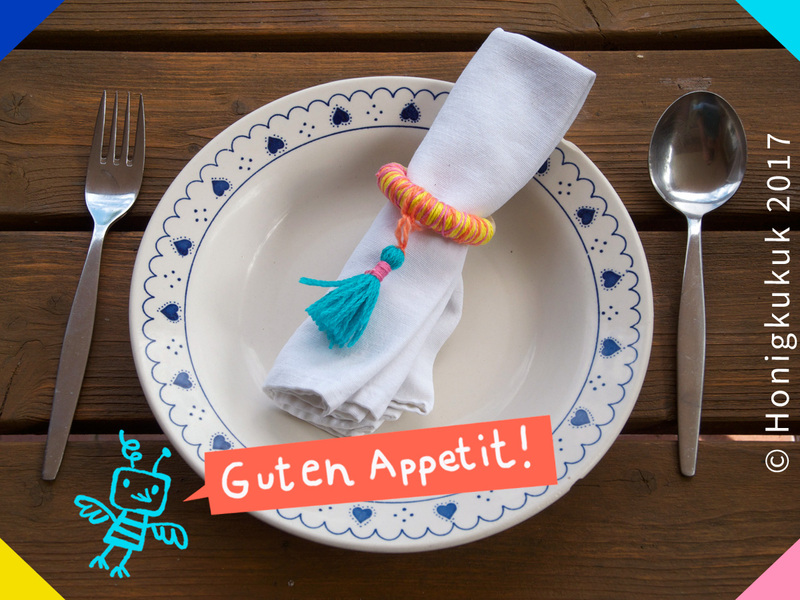 /// Attach the tassel to your napkin ring and that’s it! /// Fija la borla en tu anillo de servilleta y ya está! 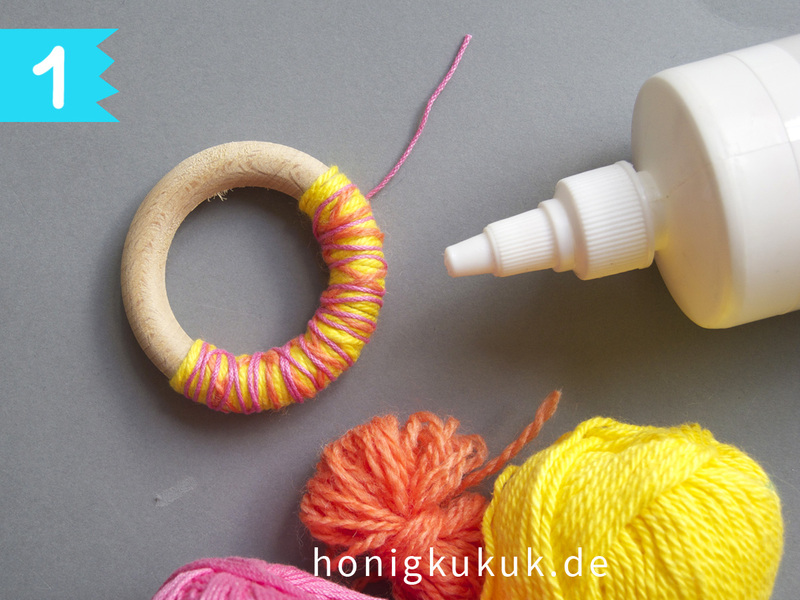 Diese lustigen Serviettenringe sind auch toll zum Verschenken! 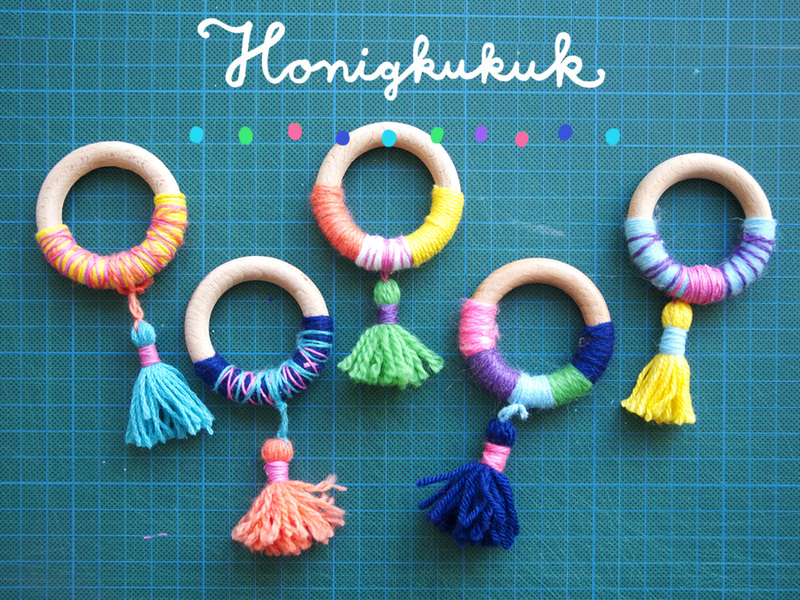 /// These happy napkin rings are a great gift, make some for dear friends! /// Los anillos de servilleta tambien son geniales como regalo. Haz unos cuantos y sorprende a tus amigos! 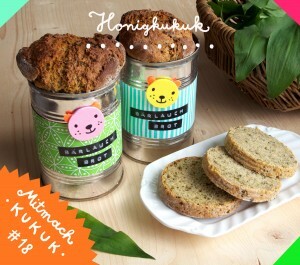 Frohes Basteln und guten Appetit! /// Happy crafting and enjoy your meals! /// Feliz bricolaje y ¡Buen provecho!